Best said by the Partnership for Southern Equity “against the backdrop of global climate change, ‘energy equity’ translates into the fair distribution of benefits and burdens from energy production and consumption” (PSE). In the rural South, individuals and communities are working to reclaim control of existing energy cooperatives — the rural electric co-ops — and transform them into authentic community-owned and controlled energy service providers. Community groups like One Voice Mississippi and the Partnership for Southern Equity are focusing on educational campaigns and community organizing with the goal of empowering marginalized residents to run for open board seats to influence the major decisions of their electric co-op. These campaigns are focused specifically on increasing and institutionalizing equity and justice within electric co-ops. Board elections are critical in demonstrating the result of democratic participation and community-led, community-driven efforts to take back control of local energy. Unlike traditional investor-owned utilities, rural electric co-ops are technically owned and governed by the residents they serve. This means that electric co-ops should prioritize local needs and be held accountable to the community. Unfortunately, a large number of these institutions are un-democratic and are governed by boards predominantly made up of older white males – rarely a true representation of the demographics and interests they are supposed to serve. Imagine if individuals came together to assert their rights and demand change in the way electric co-ops are governed: The governing boards of these institutions could look like the communities they serve and local residents could be in charge of setting electricity rates and deciding where to source their electricity from. Rural electric co-ops hold a key to the economic revitalization of low-income communities in the South, and organizing for energy equity has significant implications for the hundreds of rural electric co-ops around the country. It is an ongoing fight between existing power structures and the autonomy and self-determination of African American as well as other disenfranchised communities. If we can fundamentally shift these power structures, beginning with leadership change and continuing with programmatic and policy changes, we have an opportunity to truly transform the role of rural electric co-ops toward a more equitable and just future. This story is about how people from different backgrounds came together to stand up to their investor-owned utility and create an alternative, non-profit public energy agency. The East Bay Clean Power Alliance was comprised of environmental and social justice groups, labor organizations, businesses and policy advocates. 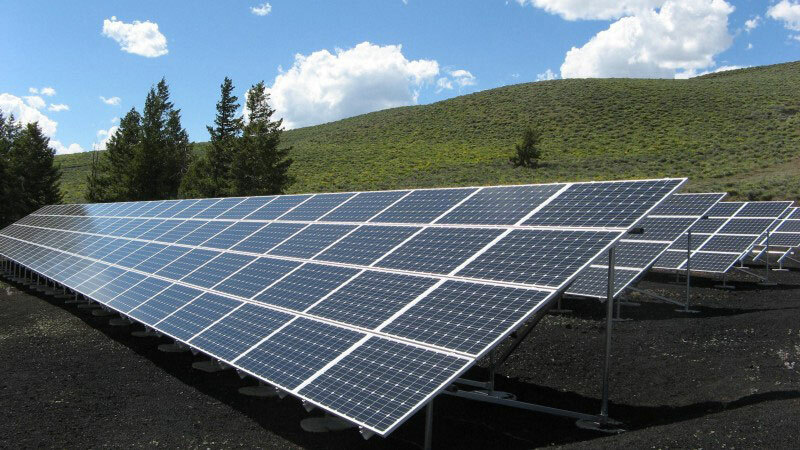 The alliance advocated for a community choice energy program in the East Bay that would spur equitable economic development and family-sustaining clean energy jobs, reduce greenhouse gas emissions, stabilize or lower the cost of electricity, improve community health and social equity and provide other community benefits. In October 2016, the coalition won a chartered commitment for a local clean energy build-out investment for Alameda County. It was the first community choice program to have this commitment. In addition they won community participation in the design of the program; a community advisory committee of nine members with a chair to represent the community on the East Bay Community Energy Board alongside elected officials. In June of 2018 the East Bay Community Energy program started providing energy to 100 residents, commercial and municipal accounts as a pilot in Alameda County. In November 2018, it was launched for all county residents. Community choice energy enables cities and counties to choose where the electricity will come from for their residents and businesses. A newly formed non-profit public agency empowers the local community to bypass their investor-owned utility to ensure a more rapid and just transition to a clean energy future. They are given an alternative option to support the development of clean energy resources, either by purchasing clean electricity on the market, or by developing local clean energy resources in the community. Under this model, the incumbent investor-owned utility continues to manage and maintain the grid and transmission infrastructure. The collective motivation to develop local renewable energy resources (including reduced consumption) spans beyond creating a countywide climate solution. It is about addressing questions of historic discrimination to create a new community-based energy model. This collaboration highlights the benefit of community-scale solar over individual rooftop solar projects to stakeholders throughout the community. “While one person can only influence their own energy bills, many people acting collectively can change the face of the energy system,” according to Cooperative Energy Futures. By working in underserved and low-income communities, organizations like Cooperative Energy Futures and Co-op Power create a virtuous cycle of local economic and community benefits, initially focused on increasing energy efficiency, then collectively producing their own clean energy. They reframe the debate by demonstrating how communities are central to building and implementing solutions. These energy cooperatives are building toward a future where groups of individuals in every community are collaborating to design, develop and manage the energy resources that they need to meet both the community and Earth’s needs. This new type of business model is about systems change, not climate change. Recognizing the immense opportunity of making a just transition from fossil fuels to renewables, communities are leveraging the chance to significantly alter economic structures. By challenging the root of climate change – capitalism – new energy cooperatives present an alternative economic development model for advancing a new renewable energy economy. In addition, they highlight the economic, social and environmental benefits being made available to low-income communities and communities of color. While the cost of clean energy continues to decrease significantly, and solutions become more widespread, it is crucial to ensure these solutions are equitable and accessible. Moreover, the clean energy transition necessitates some fundamental changes to our economic structure. We must leverage this opportunity to push the needle further and develop and promote models that address the underlying issue of neoliberal economics. This is a future where “people and communities have agency, power and decision-making authority over the energy systems that sustain their homes, their communities and their economy. They own, manage and use this system for their own collective benefit” (CEF). The Solar on Multifamily Affordable Housing program (SOMAH) is a key part of California’s energy equity efforts that prioritizes access to renewable energy for those who have been on the frontlines of pollution and environmental injustice. 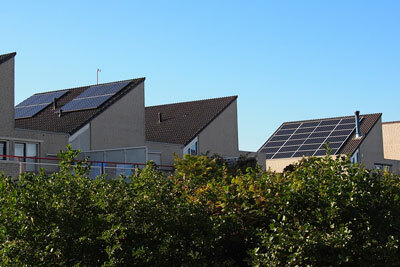 The bill provides financial incentives for the installation of solar energy photovoltaic systems on multifamily affordable housing properties throughout the state. The statute sets ambitious targets for solar installations, establishes criteria for program participation, and provides guidance to the California Public Utilities Commission on how to administer the program (CPUC). SOMAH has an overall target to install 300 megawatts of generating capacity by 2030, making solar energy accessible to low-income ratepayers in California. By investing $1 billion over 10 years in rooftop solar for deed-restricted multifamily affordable housing buildings, California is knocking down barriers to working-class communities accessing the benefits of distributed solar. Grassroots environmental justice leadership has been key to the state-run program’s strength. SOMAH is the largest investment in low-income solar in the country. The program ensures the majority of benefits and bill savings go to residents, mandates that properties with solar installations remain affordable for the next 10 years and prioritizes local green job hiring. Layered with programs that address other aspects of the “solar divide,” communities are fighting for clean energy for low-income renters and immigrant and refugee families, and to help communities stay in place. The New York state legislative bodies unanimously passed an agricultural bill that establishes a statewide vegetation standard for solar arrays. The Pollinator-Friendly Solar Act is a bipartisan bill sponsored by Senator Patty Ritchie and Assemblyman Bill Magee. “The legislation establishes a clear path forward for the ground under and around a growing number of solar arrays to be with planted low-growing flowering plants and native grasses—instead of traditional turf grass or gravel—that provide urgently needed habitat for pollinators and birds” (NYLCV). There are a variety of benefits that come with pollinator-friendly landscapes. The increased levels of appropriate habitat tend to be more resilient to intense downpours and severe droughts. This in turn provides numerous benefits to pollinators and plant species, while also having positive repercussions for agricultural soils. In addition, pollinator-friendly solar allows for a more efficient and productive use of land that otherwise might sit idle for decades. A recent peer-reviewed study published in Environmental Science & Technology identified more than 6,400 acres of pollinator-dependent crops close to 166 megawatts of solar arrays throughout New York state (Walston et al). This legislation ensures that the land around solar installations supports pollinators, communities, farmers and wildlife so that all can enjoy benefits beyond clean, renewable energy.